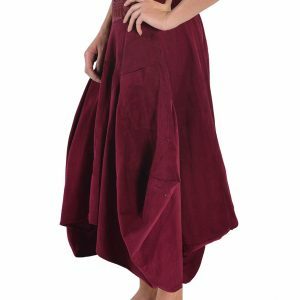 Long draped skirt with internal ties. 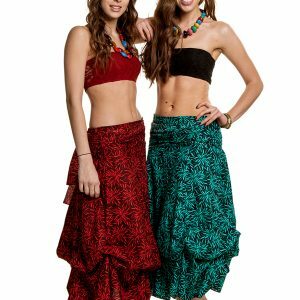 Available in TWO SIZES – very versatile, it can be worn partly or fully rouched and even as a strapless dress. 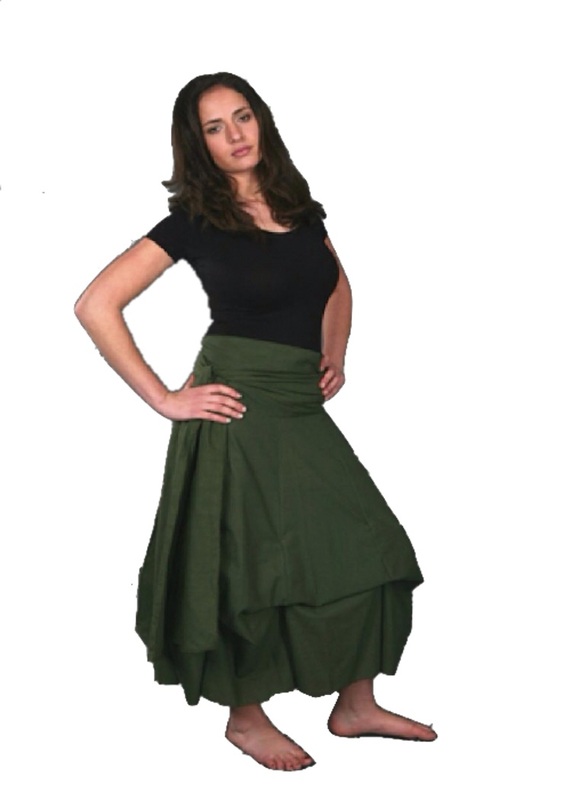 The LENGHT of the skirt is the same for both sizes: from waist to hem: cm 97 / 38.2″. 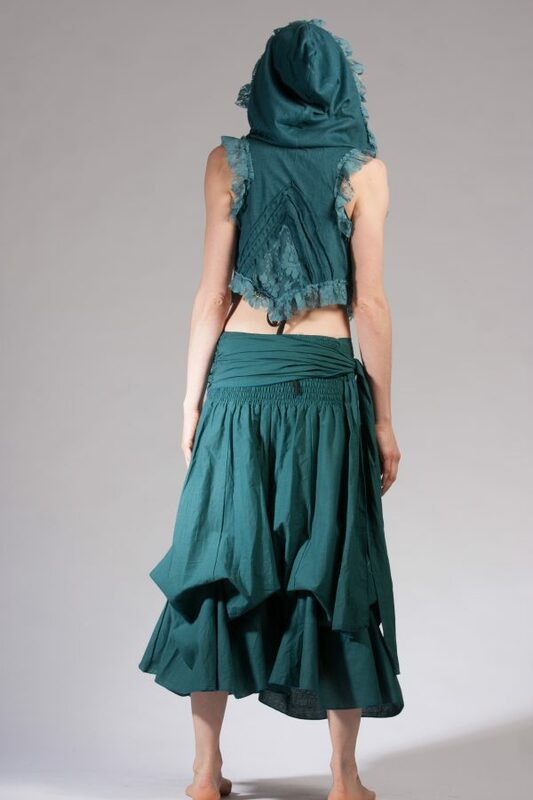 PARACHUTE STYLE – it can be worn long or, thanks to the internal ties, it can be draped in up to eight points. It is made of Cotton Cambric.